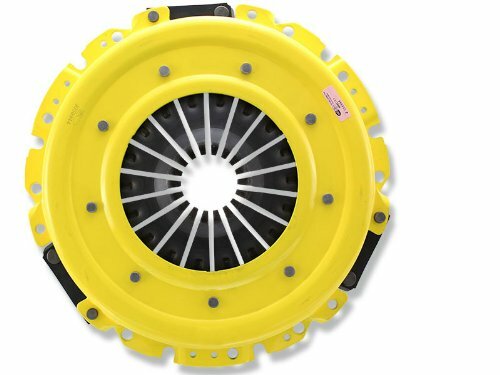 H025X is an ACT Xtreme pressure plate that uses exclusive diaphragm design to increase clamp load, reduce deflection and maximize clutch life. 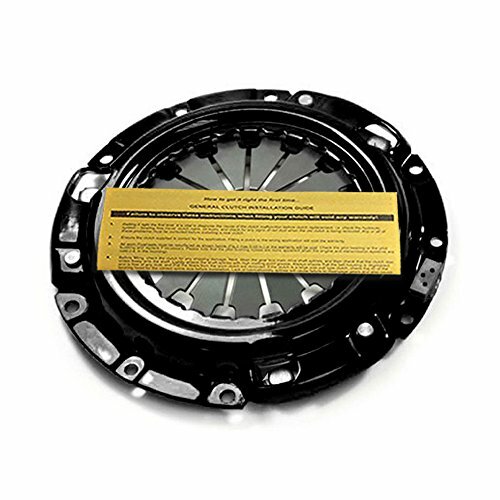 All diaphragms endure a four-stage, heat-treating process for unparalleled performance. ACT pressure plates have precision cover stampings to provide rigidity and consistency. ACT's Xtreme pressure plates increase clamp load by 50 to 120 percent. Xtreme pressure plates are recommended for use with a street or race disc. 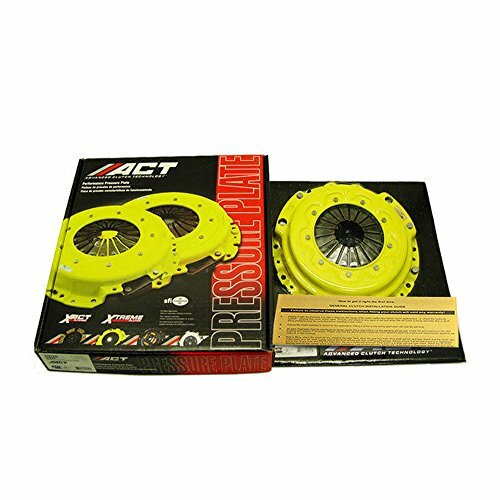 ACT's performance pressure plates offer many advantages over stock pressure plates. 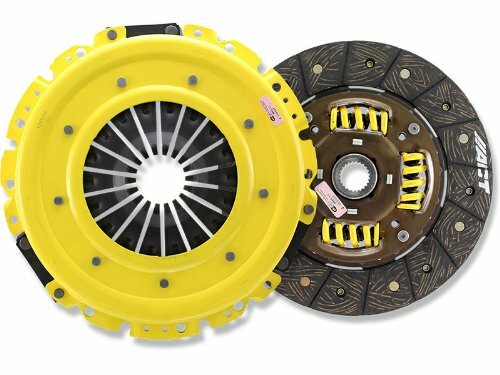 The unique single diaphragm design maintains the proper pressure plate geometry, which provides a smooth and precise feel that is positive and firm, extends clutch life, and increases clamp load. This Maxx Xtreme model increases clamp load 70-150%, with a stiff to very stiff pedal feel that makes it a good choice for race use. The all new (not "re-manufactured") components are exact engineered for each application and manufactured from quality materials using dedicated tooling. An exclusive four stage heat treating process is performed on all diaphragms, and the induction hardened bearing contact area promotes extremely long wear life. Drive straps and rivets securely locate the contact face to the cover for quiet, trouble free operation with no loose pieces to wear or rattle. 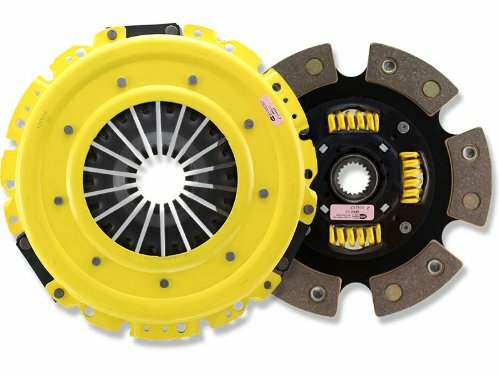 ACT pressure plates use exclusive diaphragm design to increase clamp load, reduce deflection and maximize clutch life. All diaphragms endure an exclusive four-stage, heat-treating process for unparalleled performance. ACT pressure plates have precision cover stampings to provide rigidity and consistency and some are reinforced to reduce flex and improve efficiency and the feel of the pressure plate. 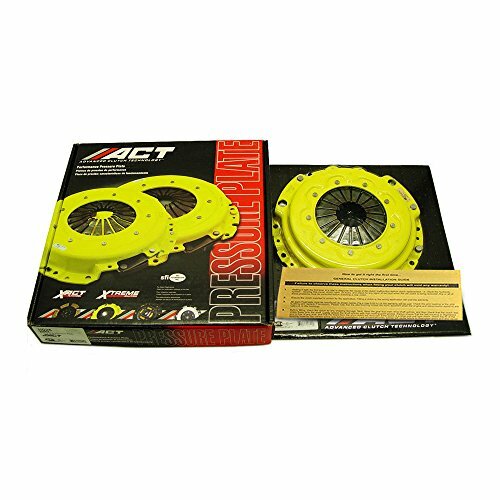 ACT pressure plates are manufactured from new units not rebuilt from worn out parts and are 100 percent tested and computer balanced for smooth operation at high RPM. ACT's MaXX Xtreme pressure plates increase clamp load by 70 to 150 percent and have a pedal feel that is stiff to very stiff. MaXX Xtreme pressure plates are recommended for use with a race disc.